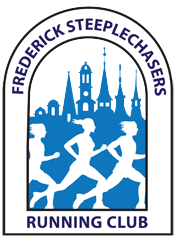 The Frederick Steeplechasers Running Club Memorial Scholarship is open to Frederick County, Maryland high school seniors who will be attending college, trade school, or enlisting in the US military. An applicant will have participated as a runner in cross country or track, or will have demonstrated support for running as a team trainer or as an assistant to the coaching staff. In addition to participation in/around the sport of running, the applicant will have a demonstrated history of volunteerism within their school, church, or community. Applications will be accepted until 11:59 PM April 15, 2019. Two $2500 scholarships are guaranteed to be awarded – one female and one male awardee. Additional scholarships may be offered at the discretion of the Steeplechasers Memorial Scholarship Committee. You may be prompted “Do you know lou.king@steeplechasers.org?” If so click the “Trust App” button to display the form. For the biography, essay, and letter(s) of recommendation, PDF format is preferred. How has the sport of running and volunteerism shaped you as the person you are today, and the person you expect to become? Please help us get to know you as a person by showing us how running, giving/volunteerism, commitment to others and community, and perseverance are reflected in your daily life. We require a minimum of one letter of recommendation and a maximum of three. It would be advisable that these come from a coach or a recognized community leader. If it is necessary that the postal service needs to be used please use the following address. Family members of FSRC officers, directors, and members of the scholarship selection committee are disqualified from applying for or receiving scholarships.